Paul Gauguin Cruises is celebrating Valentine’s Day by offering a gift package to guests on select 2017 and 2018 sailings aboard its ship The Gauguin. The offer is valid on bookings made from January 30 until February 18 this year. The Valentine’s gift package includes a $200 per-stateroom credit at the ship’s Deep Nature Spa by Algotherm, a box of chocolates and a bottle of sparkling wine (total package valued at $250). The package is available on voyages departing August 26, 2017 t0 December 29, 2018, excluding the October 17 sailing. As with all 2017 and 2018 sailings aboard The Gauguin, guests also receive round trip airfare from Los Angeles. The ship sails the seas of the South Pacific and couples can take in the beauty of the islands of French Polynesia from the privacy of their suite or stateroom and explore on land excursions. Polynesian blessing ceremonies are performed by members of Les Gauguines and Les Gauguins – the ship’s own troupe of Polynesian entertainers. In addition, the cruise line now offers wedding ceremony and renewal of vows packages in French Polynesia. 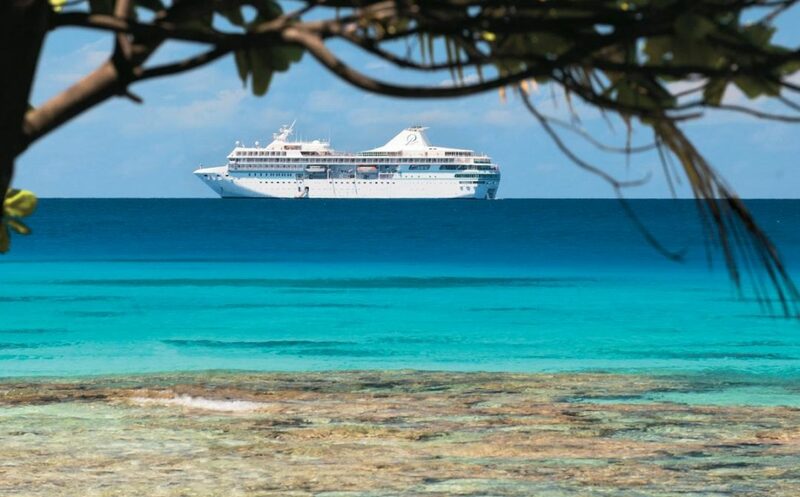 Choices include Motu Mahana, the cruise line’s private islet off the coast of Taha’a, and the luxurious InterContinental Bora Bora Resort & Thalasso Spa. There’s also a Gift Registry, where guests celebrating their honeymoon, anniversary or other milestone event can choose a “wish list” of gifts, ranging from shore excursions to spa options. Friends and family can visit the gift registry quickly and conveniently to select the gift (or gifts) they would like to give. To qualify for the Valentine’s gift package, quote VALENTINES2017. One package per booking on new bookings only.